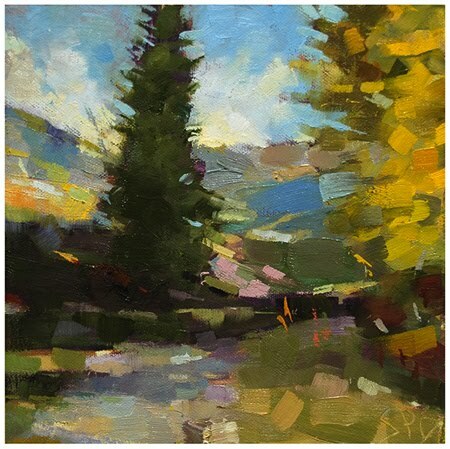 Colorado Trail #3, Oil on panel, 7"x7"
Small scale oil paintings by S.P. Goodman featuring landscapes and still lifes. Prices from $125 and up.